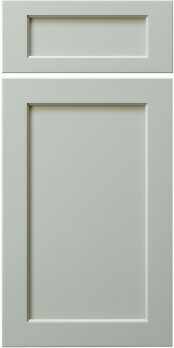 The TW-10 is a popular Conestoga (CWS) traditional flat panel door, with a 1/4″ thick center panel, that can easily be dressed up by selecting an edge profile and/or framing bead (note: no panel raise options available). To promote this door for painted finishes, Conestoga (CWS) created the TW-10 (MDF). This full MDF door, which uses five-piece mortise and tenon joinery, now affords customers the benefits of MDF combined with the almost endless design profiles of the TW-10 door. “I just wanted to tell you I’ve been watching your videos, and they are an absolutely priceless tools. So informative and to the point. Thanks for your dedication.” — Linda M.